Today I had a long list of things to get done, with baking a reward for achieving some of the bigger and less appetising looking tasks. There was no time for messing around, coffees or chats at the school gates, so instead straight up to my desk, fingerless mittens on and flask of hot tea at my side. This thermos business is a winner – it means no excuses for ‘just popping to make a cup of tea’ as I have a ready supply of piping hot tea inside it. This new sense of urgency that’s arrived with the kids’ return to school has really taken hold, and it’s very exciting. I’ve workbooks filling with to do lists. Some of the tasks I’d rather not do, or am apt to dodge, but thanks to the 10 minute rule (set a timer, work on the less attractive job, and by the time the pinger goes you’ll be so into it you’ll complete it) I’m on track. There was no prevarication either on New Year’s Day when me (donning 2 swimming hats and a costume), a friend and 3 children took to the North Sea for a quick dip. The adults had a proper swim, the kids a swifter immersion. It was beyond invigorating, it was BLISSFUL and BRACING. I can’t remember it being cold, but I do remember wanting to go straight back in afterwards. 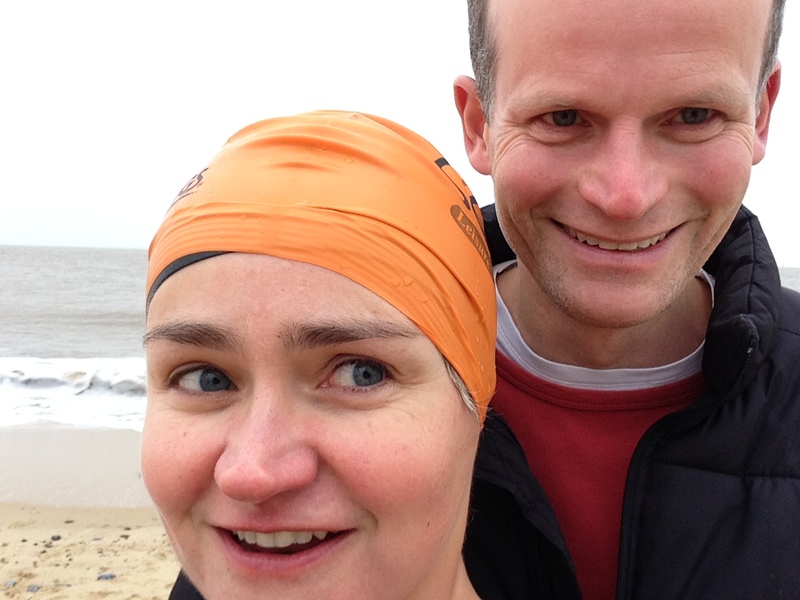 Here I am post swim with my brilliantly supportive and towel holding husband and a devilish glint in my eyes. 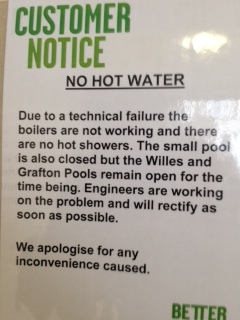 So when I got to Kentish Town Baths and saw this sign I ignored the groans and complaints from the ladies in the changing rooms, made some (probably annoying) very positive remarks, just thought ‘go for it’ and went for it, so a swim in cool water, followed by a properly cold shower. Crazy? Probably. 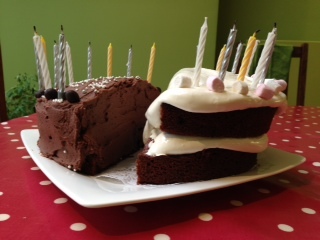 But boy I didn’t suffer from any kind of afternoon slump today, and I’m well awake and raring to welcome home my just turned 11 year olds.